The Oxford Sofa is equally at home in your formal living space or favorite family den. Solid craftmanship and attention to detail ensures durability and comfort for many years to come. Available in a wide variety of designer fabrics and custom made to order. Please note: products shown may include custom fabric and may not reflect the starting base price. 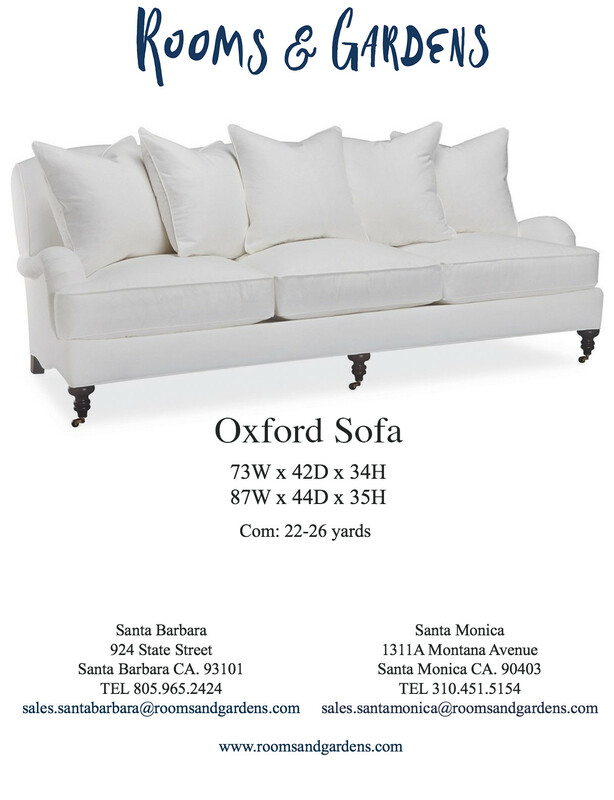 For an accurate quote or to learn more about the Oxford Sofa, contact our knowledgeable design consultants today!